Inside: Find the best podcasts for kids that will engage their mind, keep them thinking, make them laugh, and that you’ll love too. Two hours. We’ve been driving for two hours. My car is quiet except for our podcast playing over my car’s speakers. 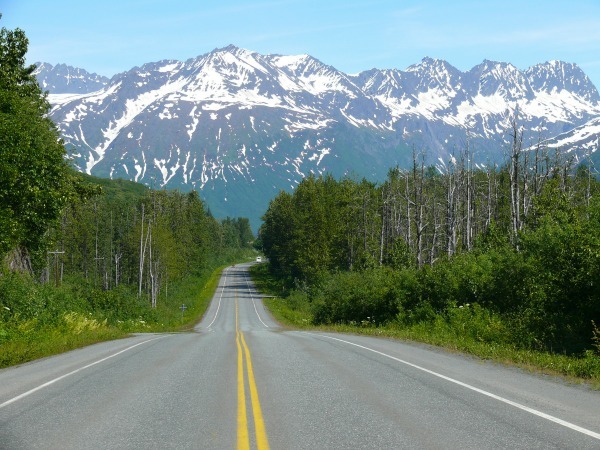 As we take each twist and turn through this beautiful Alaskan landscape, I’m at peace, happy, and loving every minute of this beautiful drive. My 7-year-old and 4-year-old haven’t said a word in two hours. Considering that storytelling and talking about Minecraft everything under the sun is their favorite pastime, it’s amazing that they’ve been quiet for so long. I keep glancing back through my rearview mirror to see if they are breathing, or sleeping, or what. But nothing’s wrong, they are quiet, relaxed, and just listening. I hear a giggle from the back every once in a while, but that’s it. Our road trip is calm and peaceful. A stark difference from our usual trips filled with endless requests for snacks, hearing “Are We There Yet?” a bazillion times, and leaving me feeling agitated and restless to get to our destination. I can actually enjoy the ride. But seriously, podcasts? They always seem so boring and serious. Who knew that would be the answer to our road trip woes? Who knew podcasts for kids could be fun for adults too?? Since the road trip from heaven, I’ve been using podcasts everywhere with my kids. Waiting for brother to finish his swim lesson? Podcast. It’s been a rough morning and everyone’s on edge? Podcast on the way to Target. Have to wait at the Dr.’s office? Podcast. Podcasts are my little lifeline of sanity. We started with just listening to Wow In The World from NPR, but because of my kid’s insatiable appetite for them, we needed more. So I’ve done a lot of Google searching and have found so many high-quality podcasts for kids out there that I enjoy listening to too! This post contains affiliate linksMy favorite podcasts for kids are ones that teach them something, makes them think about our world or requires them to use their brains to problem solve. And, I don’t feel one ounce of guilt allowing my kids to listen to them because podcasts require kids to use their imaginations. And I love that. So without further ado, here are my…. Top 5 Podcasts for Kids, That Adults Will Love Too. Wow in the World: This was our first podcast for kids that we fell in love with. Presented by NPR, the hosts, spunky Mindy and her sidekick Guy Raz, explain the wonders of the world around them. With scientific evidence and silly antics, this podcast teaches some super interesting things. My boys loved the episode about Brain Freezes, and my personal favorite was all about why giggles are contagious. 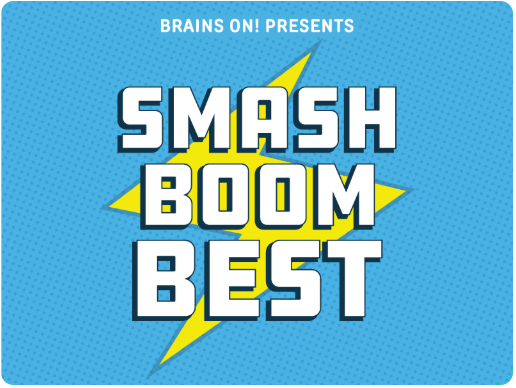 Smash Boom Best: My boys listen to every episode on repeat…it’s a serious favorite. This podcast is a true debate show where people present their opinion and back it up with facts. They debate things such as if lava or quicksand is better, or whether it’s better to have super speed or super strength. It’s really funny and shows kids how to debate and present facts to support your opinions. Circle Round: Who knew Folklore could be fun? Each episode of this podcast teaches moral lessons through different folk stories from around the world, and they’re only 10-20 minutes. They host a variety of well-known actors to play the different characters, and the storytelling is stellar. Brains On: This podcast for kids boasts that it’s “a science lesson for your ears”. They are always discussing interesting topics, like why we sunburn and explains things like the Phantom Traffic Jam. I love their debates. They recently did one debating if deep-sea darkness was darker than the darkness in outer space. They used scientific studies to find a clear winner, but you’ll have to listen to find out! The Unexplainable Disappearance of Mars Patel: Now this is a podcast that my children don’t listen to, and that’s only because they are a bit too young for it. The creators described it as, “a fun, high-quality, serial mystery that can be described as Goonies meets Spy Kids meets Stranger Things for 8-12-year-olds.” You see, the story is a serial mystery performed by kids about missing children. It’s highly engaging and will keep your kids guessing “who did it?” until the very last episode. It’s won numerous awards and I loved listening to its first season. So if you have an older kid, this would be perfect for them, and you’ll love it too. The great thing about podcasts is that they are constantly pushing out new episodes, so it never gets boring. 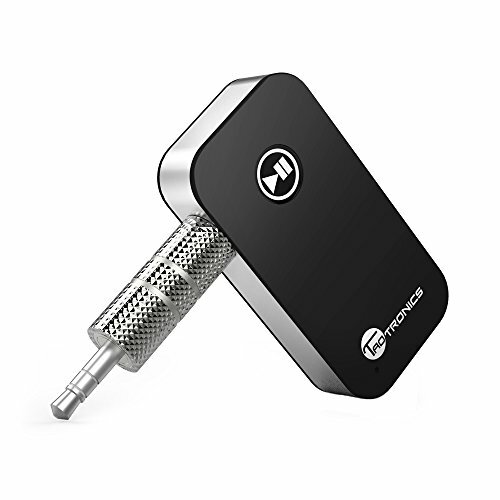 Plus all you need is a podcast player like iTunes or Stitcher on your phone or tablet, and a pair of headphones or Bluetooth speakers to listen as a family. Sure, podcasts keep my kids quiet, engaged, and out of my hair, but they’re also learning while they’re listening. I mean, I can’t tell you how many conversations my kids and have had since our lovely, podcast filled road trip, about some of the topics covered. I dare you to ask my 7-year-old about the darkness of the deep sea, he’d talk your ear off for hours. Podcasts have become a regular part of our day together, and I’m enjoying it just as much as they are. Its not a podcast, but our family loves listening to Adventures in Odyssey, produced by Focus on the Family. Ive been listening since I was a teenager and my kids love it now. Yes, we use to listen to Adventures in Odyssey. And our favorite audio program is Jonathan Park. Well made! They now have a streaming service, but we already own all the CDs. We love The Alien Adventures of Finn Caspian! Podcasts are wonderful. That’s a favourite in our house too. Great list! Sharing. Thanks for the insight! What ages (other than the mystery one) would you say is good for these podcasts? My girls are not quite 3 and 1 1/2 but we refuse to play movies/allow ipad time in the car. So I am always looking for way to engage them that isn’t screen related. Following. Mine are 4 and 2 and no technology but they are very good listeners. My son just turned three, and he loves Noodle Loaf. It is short and interactive, so we listen together and both respond to it. 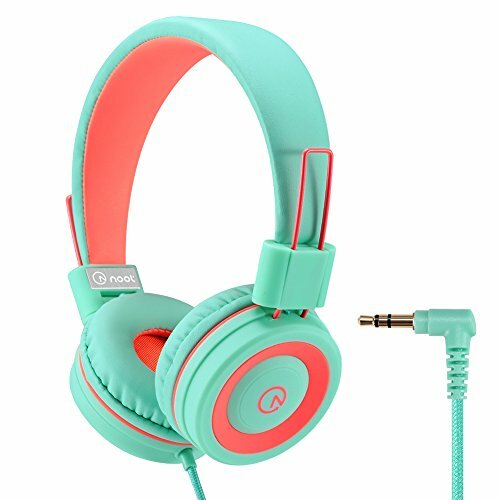 It includes short games like “guess the sound” and “finish the pattern” and echo songs. Oh I haven’t heard of that one! It’s our super favorite too. Dan is like a new Mr. Rogers. Our fav for that age ,especially my almost 4y/o daughter, is Little Stories for Tiny People. Rhea is wonderful and writes all her own short stories! Super cute. We have enjoyed storynory for years. Ancient stories, traditional stories and new stories all wonderful to listen to for children and adults. We love Sparkle Stories! They ground me as much as they do my kids. We love sparkle stories too. They have a podcast and a subscription for unlimited stories as well. Highly recommend. Thanks a lot for the idea! I’ll download all of them, including that ones in comments). We’re from Russia, but learning English and listening all books by native speakers. My boys love wow in the world. Thanks for this list. We’ll be listening to them. I’ve learned so much from podcasts and wish they were around when I was a child. The choices you’ve listed are ones that both parents and children will enjoy. That definitely makes for a more stress-free road trip! Don’t forget about NPR’s “But Why?” Podcast for curious kids. The whole family tunes in together. I enjoyed this blog so much. Your words are more powerful. If any of the mom find the below link helpful, please use it. Thanks for the advice! My son loves Cozy Corner Podcast. There is a meditation followed by a story and it relaxes him every time. Also check out the new Highlights Hangout podcast! 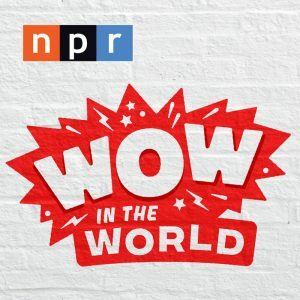 Mindy Thomas and Guy Raz from NPR’s “Wow in the World” answer science questions and the hosts are Tim Kubart (Grammy award-winner) and Juanita Anderson (Barrel of Monkeys). These look great! I’m excited to hear the Stories one with my younger kids! Disclaimer: produced by me, my kids, and a wonderful cast of kids! A great list! We LOVE Circle Round. They retell folk tales from around the world and my son begs to listen to them. We also really like Story Pirates. They take stories kids have written and then perform them in a really fun and silly way. It really helps get kids writing and is so much fun! I am more than surprised to see a podcast for children that is titled ‘short and curly’. This is a known slang term for well, hair down there. Why is that the name of their podcast? Are they trying to be cute about it in some way? I find it distasteful being a podcast for children. I honestly thought the same thing! I don’t know why they named their podcast that, they are Australian, so my guess is that they didn’t realize it’s meaning in the US (and maybe other countries too). The content is really good, so I didn’t want to exclude them just because of their name. 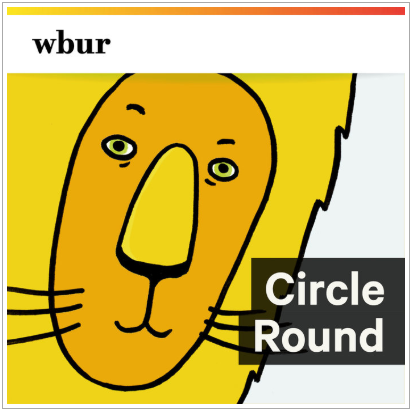 We (my son is 4 but started listening at age 3) love Circle Round, an NPR podcast. It tells folktales from around the world, with wonderful actors who really get into character. They are typically between 15 – 30 minutes each and are entertaining for both kids and parents alike. Thanks for this list and for all the previous commentors’ recommendations. Oh yes, my boys still love this one! Oh thankyou for this! 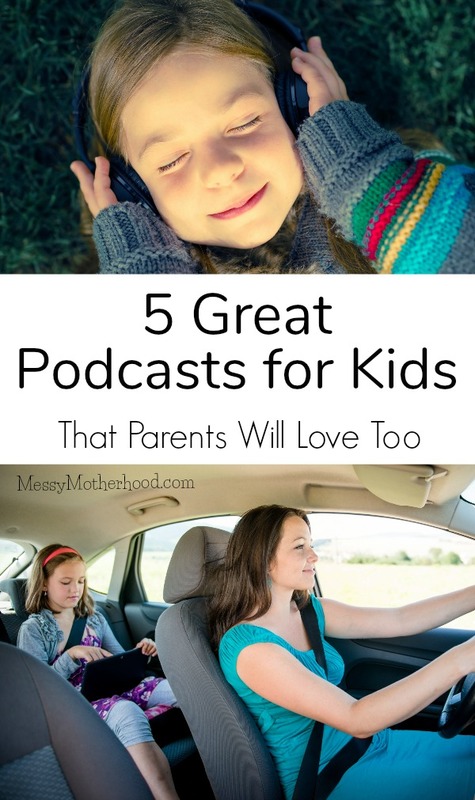 I love podcasts but had never considered any for my kids! 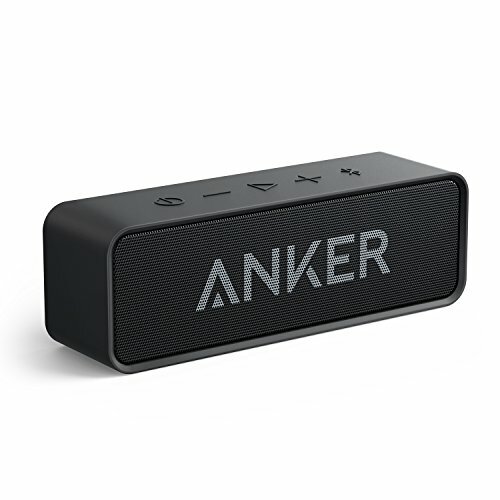 I’ve just subscribed to a few and can’t wait to start listening with them! I don’t see Sparkle Stories on the list and in our house, it’s #1. Oh thanks! I have a friend who loves that one, but I haven’t tried it yet. Thanks for the reminder…adding it to my list right now! If you like Brains On and Wow in the World, may I suggest trying out Tumble Science Podcast for Kids? It’s hosted by a science journalist and an educator, and features great stories about science discoveries!